Do you treat medicare patients? Register for a FREE webinar to make sure you are in compliance! Don’t miss out. Register now to attend this month’s special webinar on Wednesday, October 26, 2016, at 9:00 AM PDT / 12:00 PM EDT. Can’t make the live event? Register anyway to receive the recording and handout. Dr. Andrew Ball is a board certified orthopaedic physical therapist with nearly 20 years experience in physical therapy. 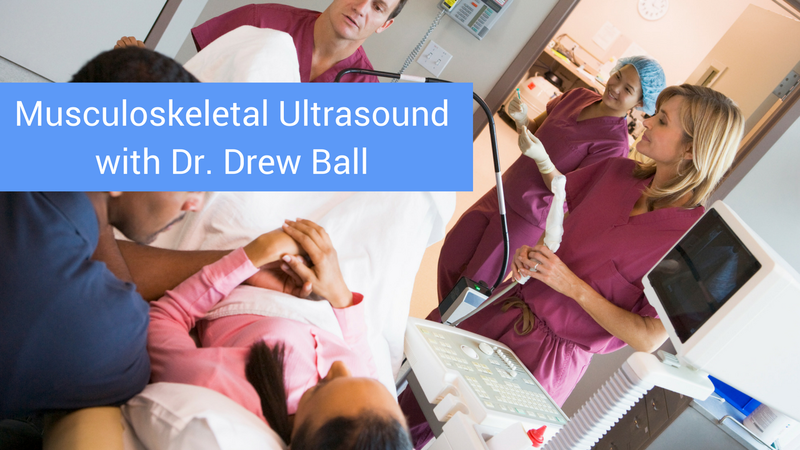 Drew has earned numerous advanced degrees including an MBA/PhD in Healthcare Management, and post-professional DPT from MGH Institute of Health Professions. He has completed a post-graduate fellowship in Leadership Education in Neurodevelopmental Disabilities (LEND) at University of Rochester, and a post-doctoral clinical residency in Orthopaedic physical therapy at Carolinas Rehabilitation in Charlotte, North Carolina. Clinically, Drew has mastered a wide-range of manipulative therapy techniques and approaches via continuing education and residency experiences (ultimately creating and co-creating several new techniques). He is certified by the National Academy of Sports Medicine (NASM) as a sports performance enhancement specialist (PES) and was personally trained and certified (CMTPT) by Janet Travell’s physical therapist protégé (Dr. Jan Dommerholt of Myopain Seminars) in myofascial trigger point dry needling. Dr. Ball serves on the Specialist Academy of Content Experts (SACE) writing clinical questions for OCS exam, as well as research and evidence-based-practice questions for all of the physical therapist board certification exams. Dr. Ball currently serves on the clinical and research faculty at the Carolinas Rehabilitation Orthopaedic physical therapy residency teaching research methods and evidence-informed clinical decision making, but also contributes to the clinical track mentoring residents in manipulative therapy and trigger point dry needling. His publication record is diverse, spanning subjects ranging from conducting meta-analysis, to models of physical therapist graduate education, to political empowerment of patients with physical and intellectual disability. Dr. Ball’s most recent publications are related to thrust manipulation and can be obtained open-access from the International Journal of Physiotherapy and Rehabilitation. Drew is married to his wonderful wife Erin Ball, PT, DPT, COMT, CMTPT. Erin is Maitland certified in orthopaedic manual therapy (COMT), certified in myofascial trigger point dry needling (CMTPT), and has extensive training in pelvic pain, urinary incontinence, and lymphedema management. They live with their two dogs one of which is a tripod who was adopted after loosing his hind-leg in a motor-vehicle accident.